Coconut oil guide › Coconut oil blog › Can you eat fractionated coconut oil? Can you eat fractionated coconut oil? 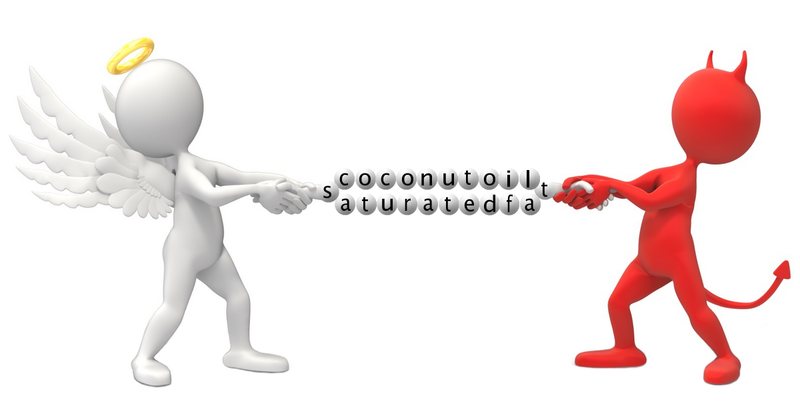 Fractionated coconut oil is just a product that contains purely MCTs (medium-chain triglycerides) after going through a refining process that involves fractionation. However, companies may label their fractionated coconut oil differently to depict a different focus that gears towards the market demand. You'll learn about that soon enough. So now, let's get down to find out whether you can eat fractionated coconut oil or not. If you're referring to the one that is simply labeled as Fractionated Coconut Oil (like those below), then you can't eat them. That's because they're solely made for use on skin, hair, scalp and body. They're for external use only. You can easily find on their labels words like "promote healthy skin", "soothe dry skin", "hair care", "carrier oil", "massage oil", "skin moisturizer" etc which provide further evidence to show that the oils are not edible. Some may have a free pump for you to conveniently squeeze out the oil for use. A few may even offer you a separate smaller spray pump bottle as well (see below). Or they are already packaged in a spray pump bottle so that you can readily spray fractionated coconut oil on your skin. On the other hand, if you're referring to another type which is commonly known as MCT Oil, then yes, you can eat this fractionated coconut oil. A few brands may include the term "fractionated" in their labels. Just don't get confused with those meant for skin care as I mentioned earlier. As long as you see words like "energy", "metabolism booster", "thermogenic", "ketogenic", "sports", "weight management", "dietary supplement" etc on the label, then you can confirm that this fractionated coconut oil is edible. You can definitely consume it. You can even cook with it. As you can see from those terms I just pointed out, MCT oil is vastly popular as a special dietary supplement among athletes. Especially the powerlifters, they're crazy about this fractionated coconut oil as it can help them break down unwanted body fat while retaining their muscle mass. This fractionated coconut oil can also help boost their energy level that in turn, improve their overall performance. MCT oil has also been used in the hospitals (since 1950s) to treat patients who have problems digesting fats composing of long-chain triglycerides, suffer from malabsorption syndrome, Crohn's disease and epilepsy etc. Just a gentle warning to you (in case) that too much MCT oil can have a "laxative" effect on you. Which is why some athletes reported GI symptoms or abdominal pain after taking MCT oil. And so, to this small group, MCT oil impairs their performance instead of improving. To make MCT oil work perfectly for you, you should always start off with a very small amount like 1–2 teaspoons for the first few days. And once you feel your body has gotten used to the oil, increase your intake to 3 or 4 teaspoons per day for another few more days and so forth. This progressive way of consuming MCT oil can help to condition your body for more intake in the future. You'll then be able to eat more MCT oil without getting any GI symptoms, or at least, mitigate the reactions. On top of that, make sure you spread out the doses and take it with food rather than straight from the bottle. This helps to slow its digestion, thereby sidestepping its side effects (GI symptoms). Because fractionated coconut oil can stay in liquid form at pretty low temperatures such as 14 to 25 °F (-10 to -4 °C) depending on the composition of their MCTs (e.g. 60% caprylic acid with 40% capric acid OR 68% caprylic acid with 32% capric acid etc), some companies have given it a new name to make it stand out from the pool of various brands of fractionated coconut oil on the market. They call it Liquid Coconut Oil. It is mainly "designed" for use in cooking, salad, smoothie etc. This means that you can eat this type of fractionated coconut oil because it has passed the quality assurance to be sold as food (FDA approved). As far as I'm concerned, liquid coconut oil is essentially the same as MCT oil. Besides being edible, you can actually use liquid coconut oil for skin care, hair care and body care too so that you need not buy a separate bottle of fractionated coconut oil just for external use. You save money. So now, I suppose you're pretty clear on how to identify which fractionated coconut oil you can eat and which you can't, right? Actually, there's one very simple trick to instantly pick the edible type of fractionated coconut oil for you. Look for Supplement Facts or Nutrition Facts on the label. Only fractionated coconut oil that is fit for consumption will have either Supplement Facts (as in MCT Oil) or Nutrition Facts (as in Liquid Coconut Oil) on the label. The one that is labeled as Fractionated Coconut Oil will never have this piece of info on its label. It makes no sense to display that since it is not a food and so won't require to provide info such as serving size, nutritional breakdown etc. Some fractionated coconut oils that are made solely for external use may also include the term "liquid coconut oil" on their labels. Pretty confusing for many people. A good example would be NOW Solutions pure fractionated liquid coconut oil. Using the tactic above, does its label have Supplement Facts or Nutrition Facts? No, right? Then you shouldn't eat it. I mean, if you're in a hurry you can use this tactic. If you have more time to spare, I strongly encourage you to scrutinize the label for more info (don't miss out the fine print too). Oh, don't forget to read especially the part where they mention the facility they use to process or package the oil. If you can't find any info regarding that, email them before you purchase. That is particularly critical if you're allergic to certain food. It's also imperative if you're a strict vegetarian or vegan who cannot tolerate the product being processed in an environment that also handles animal-based stuff. Being cautious will make sure you're getting the right fractionated coconut oil for your needs. 3. Is it good to eat fractionated coconut oil? You've come this far and you know that you can ingest fractionated coconut oil in the name of MCT Oil and Liquid Coconut Oil. Now the question is, is it really good for you to eat fractionated coconut oil? Some people argue that fractionated coconut oil is created out of the byproducts after extracting certain compounds from coconut oil or palm kernel oil for the manufacturing of synthetic detergents, drugs and health supplements. Also, it's a man-made oil and not a natural one like virgin coconut oil. So, it's no good to consume fractionated coconut oil. It's true that fractionated coconut oil was first manufactured by re-combining caprylic and capric acids (into triglycerides) which are left over in the process of extracting lauric acid, myristic acid and palmitic acid for making drugs, health supplements, soaps, detergents and cosmetics etc. But as more people learn about the health benefits of caprylic and capric acids, manufacturers begin to treat these two medium-chain fatty acids as two of the important substances for extraction, and not as byproducts anymore. What's more, some manufacturers have gone the extra miles these days to include lauric acid in the making of MCT oil and liquid coconut oil. Adding this extra medium-chain fatty acid does pack a punch. It's the most powerful antimicrobial that you can find in a regular coconut oil like virgin or RBD coconut oil. It can now better protect you against a broader range of bacteria, viruses and other germs. It also raises the smoke point by about 10–30 degrees, depending on the quantity of lauric acid added. Which explains why it is marketed as a healthy fractionated coconut oil for cooking and consumption. However, due to the high melting point of lauric acid that solidifies at about 109.8 °F (43.2 °C), manufacturers can't add too much lauric acid to the content for fear of defiling its claim as a liquid coconut oil at room temperature even in cold climate. The max they can go falls within the range of 30–36%, as far as I know. How about fractionated coconut oil that is solely used for external? Will they add lauric acid to enhance its protection for our skin? I don't think so because adding lauric acid may cause it to lose its capability as a lightweight carrier oil. Lauric acid is relatively larger in size so it will make the oil heavier (thicker). But I believe some of them are beginning to consider adding a few percent to enhance its protection for skin without affecting its weight too much. Whether it is made out of byproducts or not, and whether it is man-made or not, the fact is, fractionated coconut oil can't be any worse than most vegetable oils that contain primarily long-chain triglycerides (LCTs) and unsaturated fatty acids that are hard to break down and easily get deposited as body fat, and encourage oxidation, right? As medium-chain triglycerides (MCTs) are saturated fats, they're not prone to oxidation. Therefore, you're better off consuming fractionated coconut oil under the name of MCT Oil or Liquid Coconut Oil than eating soybean oil, peanut oil, safflower oil and even the so-called health-promoting olive oil that contain mostly long-chain triglycerides and predominantly unsaturated fatty acids. Of course, if you need more protection against harmful microbes, why eat fractionated coconut oil? Why not pick virgin coconut oil that carries more antimicrobials with lauric acid as high as 50% or more per serving? If you compare fractionated coconut oil against virgin coconut oil, not only you'll realize that virgin coconut oil gives you more health benefits, but also costs lower for the same volume. I bought the one on the left in the picture, and it did not come with a pump. It said it would, but it didn't. So I wouldn't go by that to discern which type of oil it is. Hi Tricia, that's why I said some may have a free pump. Probably the one you've bought has decided to give the pump a miss. So I read the above article and I am a little confused so fractionated oil is not good for weight loss? 1. Doctors use MCT oil (the edible form of fractionated coconut oil) to treat patients who have problems digesting fats composing of long-chain triglycerides. 2. Powerlifters consume MCT (medium-chain triglyceride) oil to increase their metabolism to help them break down unwanted body fat while retaining their muscle mass. MCT oil is good for weight loss. Is Natures Way liquid coconut oil a good brand in your opinion? Hi Marsha, Nature's Way liquid coconut oil has pretty much served its purpose (for cooking and baking) and base on this, I think it's a good brand in this context. But the company has received some complaints about its packaging for its virgin coconut oil. So in the end, it's best for you to experience personally and determine whether it's good or not. Thank you for your reply. Can you recommend a good liquid coconut oil to be used for constipation relief? Hi Marsha, after checking through, I found that I've missed out your comment. It's been more than a year, OMG. So sorry about that. You can try Nutiva liquid coconut oil if you're still looking for one. It's just been released recently. Where can you get mct in powder for and what are brands that you would recommend as being the better quality? Hi Deb, not many companies are bold enough to invest in MCT powder because it's not as popular as MCT oil, so you have very limited choices at this point. But you definitely will see more choices in the near future. You can go to any nearby health food stores and check with them. Or you can try out Quest Nutrition MCT powder @ Amazon, which is more convenient for you. And read over the label, fine print and reviews carefully. Bear in mind that MCT powder is not as pure as MCT oil because manufacturers will need to add stuff like tapioca maltodextrin or others such as corn fiber, lecithin (emulsifier) etc in order to turn it into powder. Also, MCT powder costs more than MCT oil since it requires additional processing into powder form. On top of that, because MCT powder contains fiber due to the extra ingredients added, it tends to upset your stomach more easily than MCT oil. I suggest that even if you're seasoned with MCT oil, go slow with MCT powder until you're comfortable with using it to increase the creamy texture of your beverages like coffee and shakes. Hi Dan, it's good for skin, so it should lubricate well. However, it still depends on your experience with it. I make such a product for my own personal use with a couple of very select essential oils. Works great! hi Soon Chai, thank you for your post! I am doing some research on MCT oil, specifically C8. So I've been taking MCT oil from different companies, and there are also some who sell pure C8 oil, like Brain Octane oil from the Bulletproof company in the US. Recently I had an opportunity to get a bottle of common caprylic oil (for industrial use, for the use for food additives, disinfectant) and smell it - it was scary because the liquid dissolved ink on a FedEx envelop which was lying there, it had a pungent smell, and the data sheet specifically said it is corrosive in nature. How can this be the same caprylic acid you could put inside a coffee? Brain Octane oil has allegedly gone through multiple distillation processes, but I cannot find any information regarding this subject. I just want to find out how the food grade caprylic acid is processed? Hi Tabaan, good question you have raised. The industrial-grade caprylic oil you have bought has got a high concentration level of free fatty acids, which makes the oil very acidic and hence, corrosive (with a pungent smell). What is free fatty acid, by the way? All dietary oils are made up of triglycerides. Each triglyceride has 3 fatty acids bonded to one glycerol. When triglycerides remain intact, they pose no harm to us when we consume them since they're not acidic. But when they split up, the 3 fatty acids become free from the attachment. The more free fatty acids in the oil, the more acidic the oil becomes. In other words, free fatty acids are the ones that determine the acidity level of the oil. Now, to answer your questions, first off, when we say MCT oil contains caprylic and capric acids, that doesn't mean these acids exist in free form. They're still binding to the glycerols as triglycerides. Yes, our saliva carries enzymes (but in limited quantity) that do break down some triglycerides into free fatty acids. But that's still safe on the whole (not so acidic) as most triglycerides are still in one piece until they get digested more completely in our small intestines. Our stomach do also help to digest triglycerides as well, but not as much as it occurs in the small intestines. If you happen to consume the oil on its own without other food, this can lower the acidity level of your stomach as the gastric acid free up more free fatty acids from the oil. On top of that, since there is no other food (like vegetables) to help dilute the acidity level, that explains why after a hefty acid-forming food (meat, sugar, grains and oil) consumption, many people suffer from acid reflux and feel like vomiting. If they do not balance their diet well with alkaline food always, sooner or later their gastric will suffer and the damage made can be irreversible. In short, you can safely ingest caprylic acid in the form of triglycerides that won't dissolve the tissues in your mouth the moment you consume. But the industrial-grade caprylic oil you have with you will as the caprylic acids are already freed from the bond. So, in that sense, you don't have to worry about ingesting MCT oil. The reason why manufacturers try to keep temperature low while processing the oils using distillation, mechanical pressing or whatever low-temp methods is to keep as much triglycerides in one piece as possible so that they won't be too acidic for consumption, like the processing of extra-virgin olive oil. If you read the label on Bulletproof Brain Octane Oil carefully, it says "Caprylic Acid Triglycerides", not simply "Caprylic Acids" (which can burn a hole in your stomach). Hi I was just wondering if you could explain the method of hydrolysis. Wondering what product is used during this process or is it just heating and distilling? Hi Juli, hydrolysis is a process that uses water to break a compound into two or more substances. In hydrolyzing coconut oil, water is used to separate the triglycerides of coconut oil into glycerols and fatty acids. The fatty acids will then go through a steam (fractional) distillation for further separation of lauric, caprylic, capric, myristic and other acids etc. So do you recommend Bulletproof compared with regular MCT oils? On their website, they claim that lauric acid is not a real MCT... and that it doesn't do much for you. Hi Sandra, Bulletproof sounds cool and more powerful, right? If you look at Now MCT Oil (I'm using this because it's stored in a glass bottle), which is one of the earliest regular MCT oils ever made, its primary components are caprylic and capric acids. To blow the cover, Bulletproof XCT Oil has the same caprylic-capric compounds in it. In other words, it is just a regular MCT oil packaged in a different name. As lauric acid has 12 carbons, it kind of sparks up arguments that it belongs to long-chain triglyceride (LCT) rather than a medium-chain triglyceride (MCT). But that's not important. What's more important is that lauric acid is the most powerful antimicrobial compound that ever occurs in coconut oil. It's true that lauric acid metabolizes less efficiently than caprylic and capric acids because it has a slightly longer chain size. The company that does not add lauric acid in their MCT oil product focuses on the efficiency of energy conversion. But for those that include lauric acid, they decide to place a bit more emphasis on enhancing your immunity, besides helping you to get more energy. This might appeal to some people and increase their sales from a marketing standpoint. So, which one you should choose will depend on what you're looking for. Oh, thank you so much for that information! It really helps clarify the whole somewhat confusing situation. Hi Sandra, glad it helped clear your confusion. You're welcome. Is C8 MCT oil, which is derived from VCO, sufficient on its own, or are there other good things in VCO besides C8 MCT? I currently use one tbs C8 MCT every day in Bulletproof coffee (one cup per day only)., and am unsure as whether this is the active ingredient in VCO. Hi Roger, depending on your needs. If you want great energy and a boost in metabolism, then MCT oil (aka fractionated coconut oil) should suffice. But if you want beyond that such as stronger immunity, then virgin coconut oil will give you that. C8, aka caprylic acid, is one of the active ingredients in virgin coconut oil. But it only constitutes about 7% in VCO. You might want to learn about the differences between virgin coconut oil and MCT oil so that you know which to use for different needs.